Brew lovers can now celebrate, the much-anticipated Good Beer Week 2016 Program is now live. The sixth annual Good Beer Week, happening from May 13-22, features 270 events that will run across 150 venues from your local pub to Vue De Monde and even a church. All event tickets can be purchased through the website or the new Good Beer Week App. The App lets you view the program, gives updates and news, shortlist your favourite events, and even take a #GBW16 selfie with the ‘Brew Cam’. Can’t find your event? There are guided maps to every Good Beer Week location as well. Events that are sure to sell out quickly include Mega Dega IV ($145). 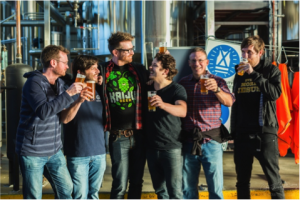 This year, Good Beer Week welcomes special guests from Garage Project (NZ), Brewdog (UK), Rodenbach (BEL), Temple Brewing Company (VIC), Pirate Life (SA) and hosts Craft and Co. to create the beer list. A six-course menu will be created by a selection of chefs from the far reaches of the beer world. Dom Marzano of Craft and Co. will be joined by Shaun Clouston (Logan Brown, NZ), Robin Wickins (Royal Mail Hotel), Ian Alexander, Katia and Sabrina Cappodocio (La Latteria) and Pamela Raschella of Shocolate. Brewers and Chewers ($90) at The Local Taphouse in St Kilda sells out every year. 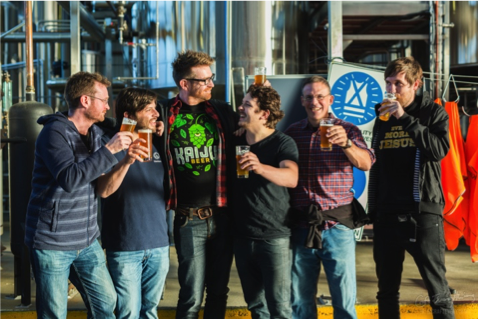 This famously fun dinner party features brewers from Sixpoint (USA), Stone (USA), Wolf of the Willows (VIC), Bach (NZ), Nail (WA), Pirate Life (SA) and Palm (Belgium) and a night of great beer, food and company. While there is a great selection of old favourites, the program also has some interesting new events to check out. Four Pillars & MPB @ Belleville ($100) will see Four Pillars Distillery of the Yarra Valley and Mornington Peninsula Brewery match a dinner with roast chicken heroes, Belleville. Rodenbach, Opera & A Church: A Heavenly Match ($69) at St. Stephen’s Anglican Church in Richmond will be a refined event to remember. Beer Diva, Yarra Valley Dairy and Heron Tower Beverages present a breathtaking live opera performance enhanced by exclusive Rodenbach ales and one-off handcrafted cheeses beneath the stained glass windows of St. Stephen’s Church. Finally, Brewmanity and Mick Fanning’s new brewery Balter Brewing Co. invite punters to Good Beer Week’s biggest fundraising attempt to date, Beer vs Beast ($49.95) at Ormond Hall Village Melbourne as they unleash their collab brew ‘The Beast Tamer’. Get along to an epic Sunday session of great music and bands, all to help raise funds for Motor Neurone Disease.